The year is 1967. American troops are making their way through the jungle of Cu Chi District of Vietnam. The opposing Viet Cong have developed an uncanny ability to blend into the surrounding terrain. The jungle is riddled with traps. Snipers appear from nowhere and vanish just as quickly. The key to the Vietnamese strategy turns out to be a vast network of tunnels stretching beneath the jungle. As a group of new recruits arrive at a remote jungle camp, they soon learn that their mission will be anything but routine. 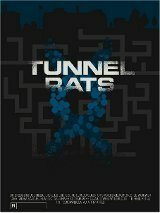 A tunnel entrance has been discovered and they must confront the enemy in an attempt to find information that will give them an advantage in an increasingly difficult war. Survival becomes increasingly unlikely, as both sides fight to further the cause of a war that neither asked for.